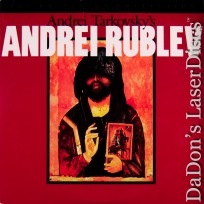 Andrei Rublev 1966 - 205 min. 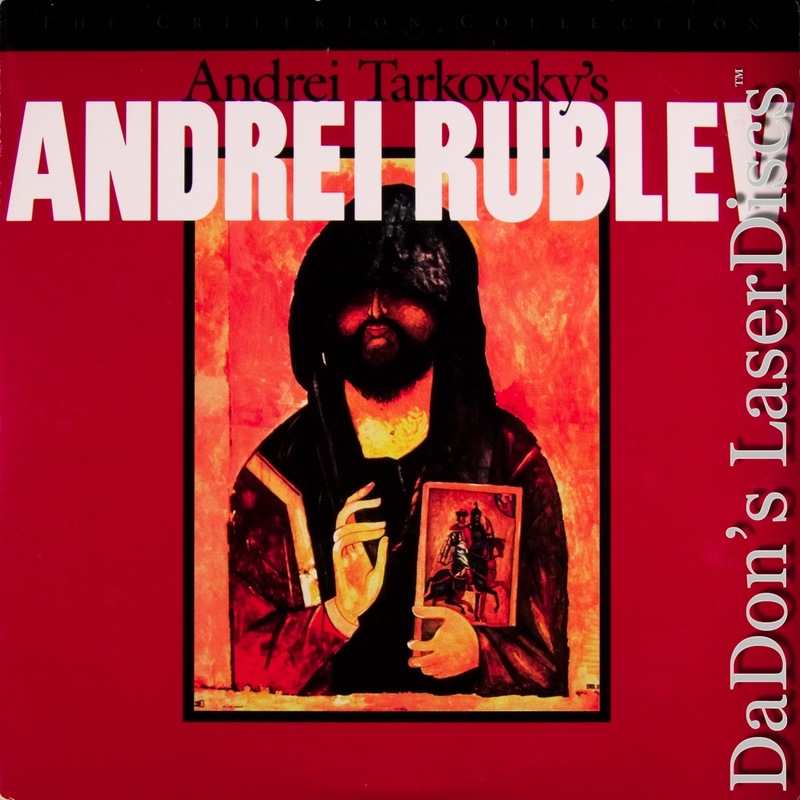 - Black and White Genre: Drama Not Rated Country: USA LaserDisc Movie Review: Director Andrei Tarkovsky?s second film, ANDREI RUBLEV, is a massive and sweeping retelling of the life of the 15th-century Russian icon painter and perhaps the first great Russian artist. Unfolding in a free-flowing series of eight episodes, ANDREI RUBLEV follows the painter (Anatoli Solonitsyn) as he faces unbearable violence, endless attacks by the crude and malicious Tartars, and, eventually, a crippling crisis of faith. A moving mosaic of time, spirituality, dreams, history, culture, and politics, Tarkovsky's masterpiece was immediately condemned by the Russian authorities, who waited five years before giving it an official release. Despite this, the film endures as a wrenching testament to Tarkovsky?s unique vision of the power of art and the duty of the artist. The film follows Rublev as he traverses the wretched earth of Russia in the Middle Ages, encountering jesters, fools, other artists, and the masses who eventually restore his faith in life and art. Tarkovsky?s signature elliptical style, matched with stunning cinematography and breathtaking (and often nonnarrative) editing, creates a film unlike any other. Neither strict biography nor historical epic, ANDREI RUBLEV is the visual depiction of the mystical capacity for art to transform the struggles and joys of the human into the divine. Thanks for Visiting DaDon's Rare LaserDiscs ! Reviews, Articles, Newsletter and Information for Movies on LaserDisc LD Laser Disc, LazerDisc.